On 23 April 2018, PUPKEWITZ GWM handed over a sport sponsorship to Elnatan Private School’s first rugby team to the tune of N$100 000.00, the first installment of a three-year sponsorship agreement of N$300 000.00. 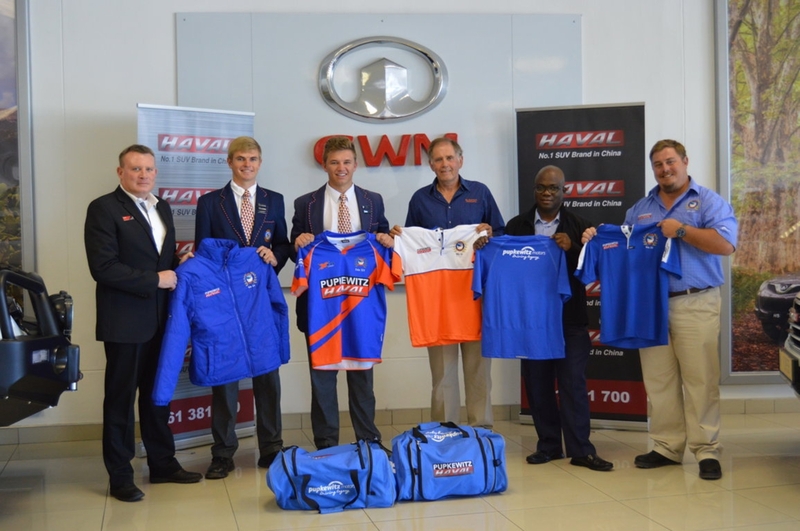 In addition, PUPKEWITZ GWM handed over shirts, jerseys, jackets and trousers to the team. PUPKEWITZ GWM decided on the sponsorship due to the school’s commitment to its learners and its holistic approach to educating learners in academics, culture, religion and sport. Elnatan Private School, which is situated in the southern town of Stampriet, has a prestige and well-known rugby team, which competes at the highest level of national rugby. The school makes it a point to remain relevant and stay up-to-date with various new rugby coaching tactics to ensure that their team performs to the highest possible standards.